In the Media: Kenan Sofuoglu to race again in 2019? It has been nearly a year since the best FIM Supersport World Championship rider of all-time took to the tarmac for the last time. After 126 race starts, 43 wins, 85 podiums, 34 pole positions and, of course, five World Supersport titles, Kenan Sofuoglu, hampered by injuries since early 2017, decided to call it a day at the 2018 Italian Round. 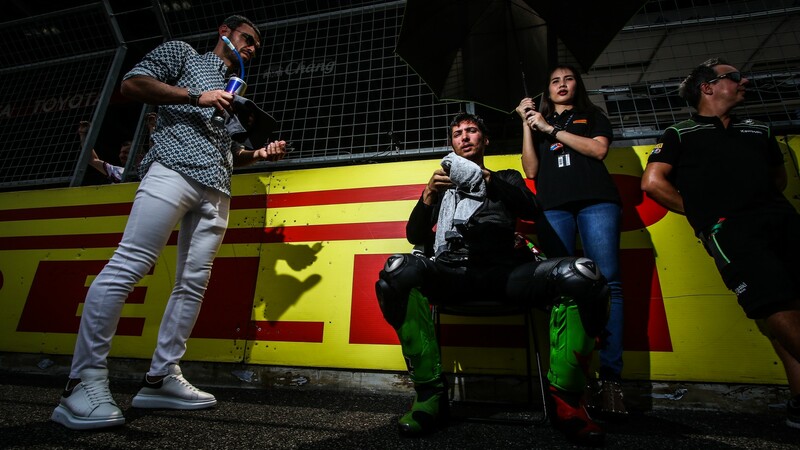 The legendary Turkish rider took part in qualifying at Imola – scoring his final front row start – but declined to race, entering pitlane after the warm-up lap to a rapturous reception from fans and peers alike. Since then, Sofuoglu has remained active around the WorldSBK paddock – most recently at the Pirelli Thai Round – as a mentor to Toprak Razgatlioglu (Turkish Puccetti Racing), and has been paving the way for his cousin Bahattin to compete in the FIM Supersport 300 World Championship. But once you catch the racing bug it never quite goes away and – according to Speedweek.com – Sofuoglu may not be ready to hang up his leathers just yet. In an interview with the German site, Sofuoglu admits that he is pushing for a wildcard appearance at the Pirelli Italian Round in May, exactly one year after his retirement: “Imola is the home race of Puccetti Kawasaki, there are many fans and sponsors of the team and I really like the track. If Kawasaki agrees, I want to make that wild card”. The Turkish rider adds in the interview that while the plan is not 100% and discussions are still going, he feels that “physically, I'm in a state that I can still bring good performance in racing”. Will the five-time World Champion make a stunning return in 2019? While we wait for the answer you can check out the full interview here. You can also catch the best moments from Sofuoglu’s illustrious career, including his full-time farewell last season, thanks to WorldSBK VideoPass.